Pete Shumar from Gaithersburg, Maryland waves a large American flag during the rally on the National Mall during the "Rally for the Troops, Rally for America". 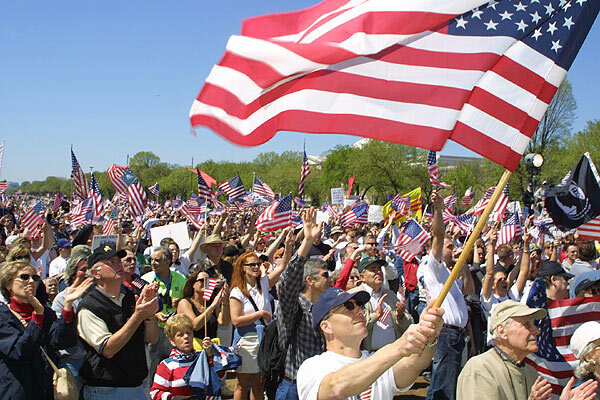 April 12, 2003 - Pete Shumar from Gaithersburg, Maryland waves a large American flag during the rally on the National Mall during the "Rally for the Troops, Rally for America". Thousands of people came to Washington, D.C. from all around to proudly show the red, white, and blue and show their support for the troops and President Bush.